Not all renovations will make you a tidy profit when you come to sell your property. Some projects will cost more than they will ever give you back. So what are the most lucrative projects to add value to your home and give you the best return come sales day? First impressions are critical. And more than 90% of those impressions have to do with the condition and color of your home, both inside and out. Proper preparation before painting is crucial. Having any carpentry or drywall repairs completed, along with making sure all the doors and windows function properly will impact the quality of the final result. For the majority of buyers, a neutral, classy palette will be the best bet. Neutral tones give your buyer plenty of upside but no downside. Painting is your most cost-effective improvement! Market preferences and design trends shift over time, and your home probably wasn’t built yesterday. And recent experience has shown that most people want the house finished and be in move-in ready condition. Kitchens are the new "litmus test" for these buyers. Many will turn around and leave a home if it requires renovation. This doesn't mean you have to break the bank on high-end appliances or specialty cabinetry. The kitchen is the heart of the home and is the focal point of almost every home showing. An impressive kitchen will almost always make the difference between an average offer and getting the maximum profit upon sale. If your bathrooms are outdated, this is another room where updates could make a big impact. Next to kitchens, bathrooms are the number two selling point in most homes. Studies have shown a minor bathroom remodel can provide a 102% return on investment, and you don't have to spend a fortune to make big upgrades. But if your bathroom has pink, blue or green tiles from the mid-last-century, it's likely time for something much more substantial. While converting a standard five-foot tub into a tile shower can cost around $4,000 to $5,000, you may get back as much as 85% to 100% of the money when you sell your home. The impression it will give potential buyers when they're viewing homes in a similar price point will be huge. Flooring is one of those things sellers overlook when bogged down with the intricacies of a home sale. But let’s just be clear from the get-go — flooring matters. 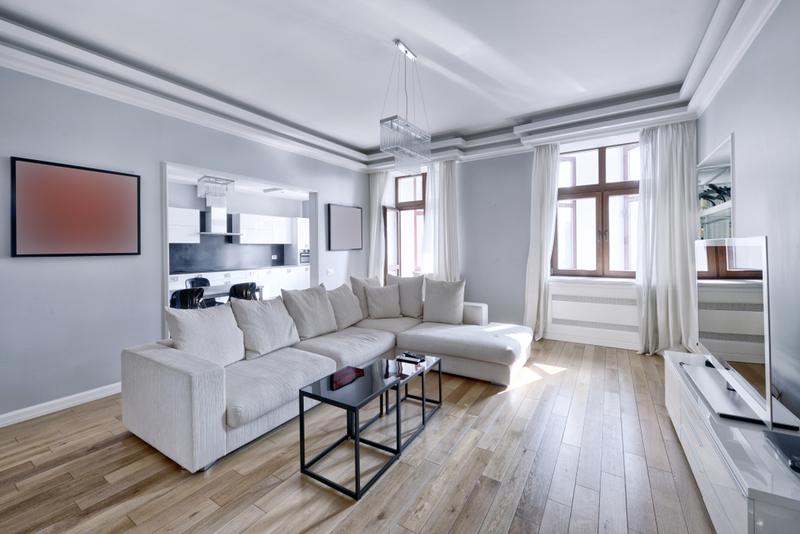 It’s no surprise— hardwood flooring has long been the top choice for buyers, and remains so in today’s market, but you can still make a great sale on your home even if it isn’t fully decked out in the materials of the moment. Experience shows that you can get away with carpeting in the bedrooms, but buyers like to see hardwoods in the main areas of the house, like the living rooms and the hallways. Consistency throughout the house is what really matters. 1. Keep it consistent – no matter what it is. 2. Hard surfaces are better than carpeting. 3. If carpet must stay, keep it in the bedroom. 4. Don’t let different floor types meet in high-traffic areas. The front door may be the most important element in the street appeal. Replacing with a new modern door can add a lot of wow and costs approximately $500. Even painting the door with a rich paint color will give it a big lift. Make sure the front garden is tidy, lawns mowed and beds weeded. If garden beds are bare, garden mulch is an easy way to spark them up. Add new house numbers and a mailbox to finish it off. What are the Top 10 Curb Appeal Makeovers? Staging a home for sale is all about making it inviting to the largest number of potential buyers. If a home is vacant, a stager will haul in furniture and décor so buyers can imagine themselves living there. If it’s occupied, the stager will declutter, neutralize and decorate for the masses. If you are going to sell for the best price, the photos of your home need to do one thing; motivate someone to get up from their computer or phone and actually go see your home. There are even ways to stage a home "virtually". These photos are examples of that process! Real staging is always better, but if that is not in your budget, virtual staging is a real option. What Does It Take To Sell Your Home?